We meet most Wednesdays at 7:00 am. 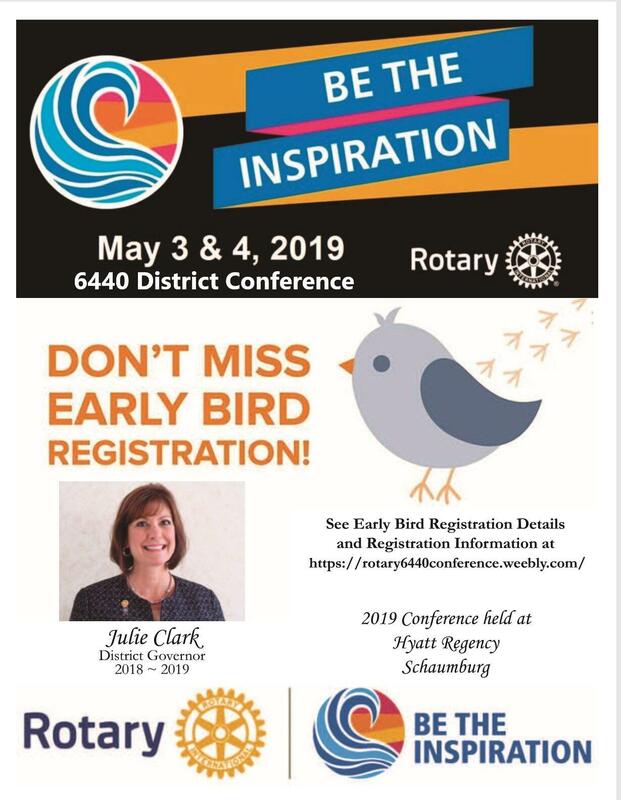 Rotary connections make a difference! 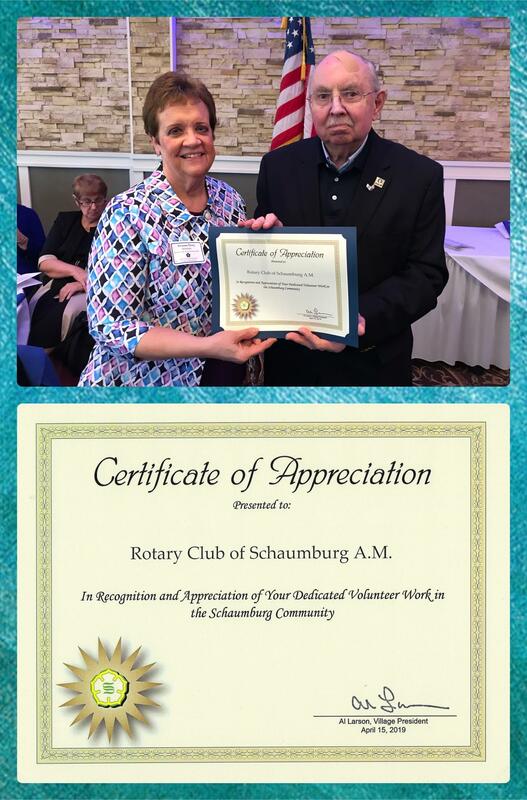 18/19 Club President Lori Corrigan and club members Brian Bieschke, Ann Everhart, Sharon Perry and Lisa Petersen attended Schaumburg’s 32nd Annual Volunteer of the Year Awards Luncheon held at Chandler’s Banquets on Monday, April 15, 2019. This event recognizes adults, young people, and organizations that, through volunteer efforts, enhance the quality of life in our community and help to make Schaumburg a better place. Click here for conference information. Come for the FUN that we have... Stay for the GOOD that we do!